Used this table cover on table at Thanksgiving.Thanks WD for having covers that fit this type of table(oval,73x52).Takes 2 people to put on table,fits very well.Had problems finding this size, glad you had it.Looks nice,pleased with this purchase.THANKS AGAIN WALTER DRAKE. I love this table cover. I put this cover on my round wood game table when my grandchildren want to color or paint. I was very pleased to find this size, which I had not been able to find in local stores. It is elasticized which means it doesn't slide off (and that the small people do not remove it). It looks so nice that I keep it on a lot even when the grandchildren are not here. I ordered from two other company's and nothing they had compares to this tablecloth. I ended up returning the other two tablecloths and will order a second one in a different color. Fits nice and tight top and sides. I am covering a glass table that is difficult to keep smudge free. Bottom line: Not just a nice tablecloth but it's more like a great tablecloth! I used this on my patio table. Stretch out great love the tan color. Would recommend this to others. I have a glass round table & just cant seem to keep it clean, so with the use of this tablecloth outside pleasure will be a breeze! I will be ordering a couple more, I likve to change off! It was tough to find an elasticized table cover to fit my kitchen table. This one fits perfectly! Very pleased with product..it updated a patio table, and we are sitting at it and enjoying the outdoors more. and one clear one and one marble that was listed as gray but is blue. I love the granite one. I would buy this product again. And did. Fits perfectly and looks great. Ordered two more. I've got quite a few of these outdoor table covers from Miles Kimball and I am totally satisfied and pleased with their look and fit. Received these very quickly. Very satisfied! We liked the first cover, and decided to buy two more. We saved the MK Website for future shopping. ?? I love that it fits with the table pad underneath. Color is perfect! With 2 young children, this is the only tablecloth I will keep on my table. It protects my wood table beautifully and is super easy to clean. I was for a tablecloth to protect my wooden kitchen table. I watch my preschool and toddler grandchildren and was looking for a durable fitted tablecloth to protect my table from preschool crafts, painting etc. This table cloth was more durable and fitted better than others I tried. My only issue is that I can not fond other patterns in the oval 42 x 78 size. This cover is perfect for my teak, octagon table. The table top is made of slats so this gives me a smooth surface to work on, also it is great for doing jigsaw puzzles. I've always ordered this type of tablecloth and it also protects the table from scratches. matches countertop granite almost perfectly! Not flimsy at all. Very heavy duty and fits well! I own the oval one and liked it so much I sent one to my ninety two year old mother. She loves it. At that age easy clean up is a must. Works great especially when the grand children are over. Easy clean up and perfect in protecting table. Had been looking for a fitted vinyl tablecloth, but unable to find one until I saw the Walter Drake catalog. I ordered the tan color first, but didn't like the color at all, so I exchanged it for the gray one and just love it. Looks like we have a granite table on our patio at first glance. The exchange policy was great too, no problem, received it right away with no hassles. The tablecloth was not to thin and worked well on my table. It even matched my granite countertops. I had been looking for several months for this pattern and color. This works great on my 72 inch oval oak table. The only con is that it takes 2 people to put it on, otherwise it would have gotten 5 stars. I would definitely buy another one. The table cover was everything I expected it to be. I needed something to cover our glass patio table which was getting scratched. This is perfect and stays on no matter how windy it gets. I also like the color - soft blue and it was a great buy. Looks great, and good fit. We had a diffrent manfactuered one, the elastic stretched out and made a poor fit. Not a close enough fit for me. The color is fabulous. My table is a 42" round table so I ordered the small (40"- 44"). It was loose on my table. Looks great. Friend saw mine and had to have her own. I am ordering another because something spilled on mine and took the color from a small segment - don't know why it took the color because I have had lots of spills on it with no damage. I purchased this to use on a hand-made table that measures 48"X58" with rounded corners. It fits and looks great. The only way it would fit better is if the corners were square. Pattern much too busy for a kitchen table. Not as in the picture. Took days to get the wrinkles out and not all are gone. I did have one of the other patterns for many years with no problems at all. It was sturdy for everyday use. Perhaps the vinyl is thinner now. I will purchase another the one the same as I had in the past and hope that it is the same. Do continue to order from Myles Kimball. They are a great company! like the design. difficult to stretch to on table & much thinner than I expected. 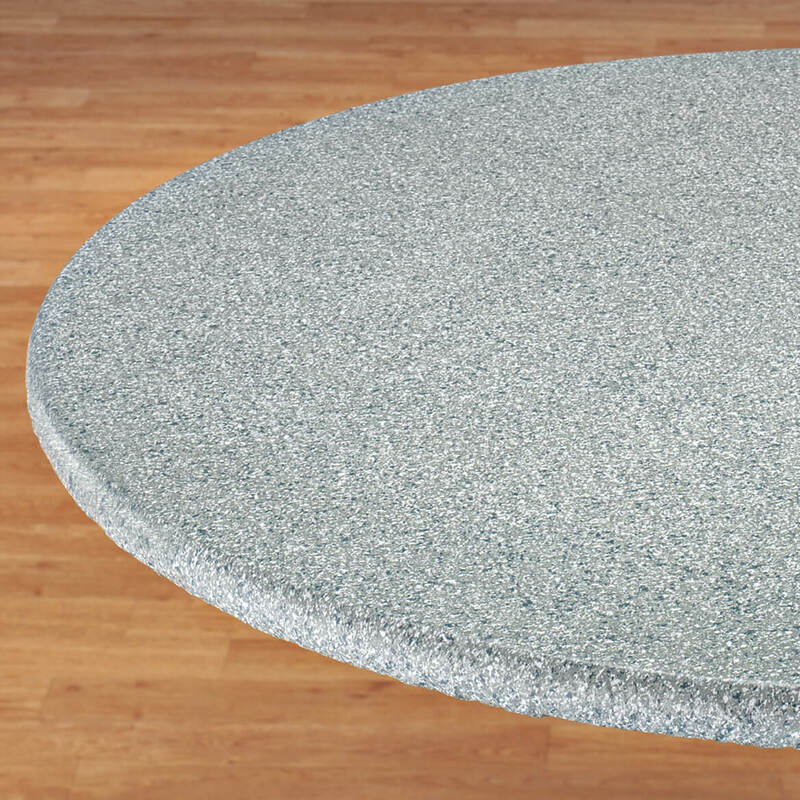 For Christmas my mom got the round polished granite tablecover for her round glass table. I loved it, the way it looked and the way it fit around her table. I loved it so much that I ordered one for my kitchen table, a traditional wooden rectangle table. I was really excited to put it on my table, I'd been looking for something like this for awhile to protect the table from our 3 yr old son and his cars and trucks. While the tablecover looks nice, it doesn't fit quite like I'd like it too. The round one wraps around the table nicely and gives it a nice finished look, however with the shape of my table it just doesn't seem to fit "perfect." I'm not going to waste the money to ship it back and have used tablecloth clips to help hold the tablecover on in certain places to give it that clean finished look I was hoping for. Bottom Line: I would recommend this to a friend who has a ROUND table, but I would NOT recommend this to a friend who has a RECTANGLE table. I ordered two tablecloths a few months ago, They didn't fit so I returned them. Walter Drake gave me a hard time but did credit my account, so I recently ordered two more different sizes (rectangle) "that's what it said" even the package said rectangle, put them on the table and they had round corners. Didn't want to go through the trouble of sending them back again so I had to tape the corners down. Will just have to do for now. Someone needs to know the difference between rectangle and oblong! never order rectangle, you won't get it. I love the color and fit for my outdoor patio table to protect from rain & dirt. " It in not hail proof." Never even had it on for 24 hours and it hailed that night and got splits all over it. This product is not usuable. Cups/drinks wobble. I can't even use it to cover the table for the grandkids to do arts and crafts on because it is NOT fitted like in the advertising photo. I was happy to find this tablecloth because it is listed as being 48"x72". The length is incorrect. My table is 71.5" long, (I remeasured it when the tablecloth did NOT fit) and this item was at least 2" short. It is also rather flimsy. Unfortunately, I purchased two (this size is hard to find) and they both have to go back. This product is not like other elastic table cloths I have purchased. It is not cloth lined, came VERY wrinkled. I have tried ironing (with a towel under the iron) and still have a lot of wrinkles. As soon as I find something to replace it, it will go to Goodwill. When I needed to replace the same type of tablecloth that had been on my table for several years, I purchased this one. It fit perfectly, but within ONE WEEK the color under where my husband rests his forearms had rubbed completely off, down to the white underneath. I so wish I could find this item locally, in a retail store instead of having to order online, because you never know what you are going to get - in this case a piece of junk. One star is too many, but I was forced to give it at least one in order to submit this review. I was waiting to order this for a long time, and when I finally did, I was disappointed. I order one every year for the table on our balcony. They're washable and fairly durable. need cover in summer for table. Because I need a fitted tablecloth to cover my table outside on the patio. Just what I was looking for to protect my Dinning Room table while doing crafts and playing games. My daughter fancied it for the picnic table. 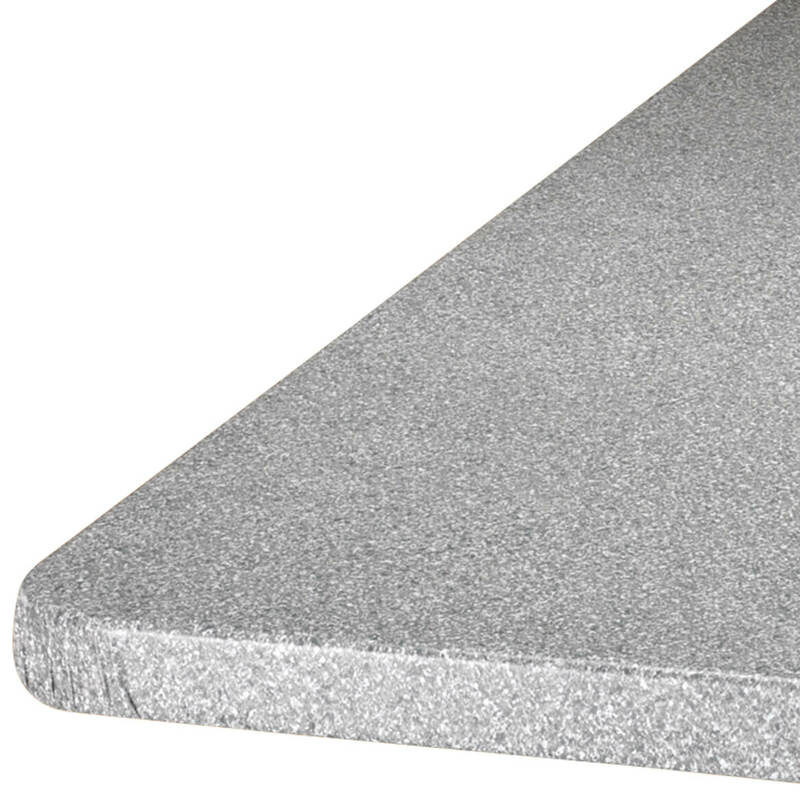 my husband likes the granite look and we wanted the efficiency of the elastic on our patio table due to the wind. 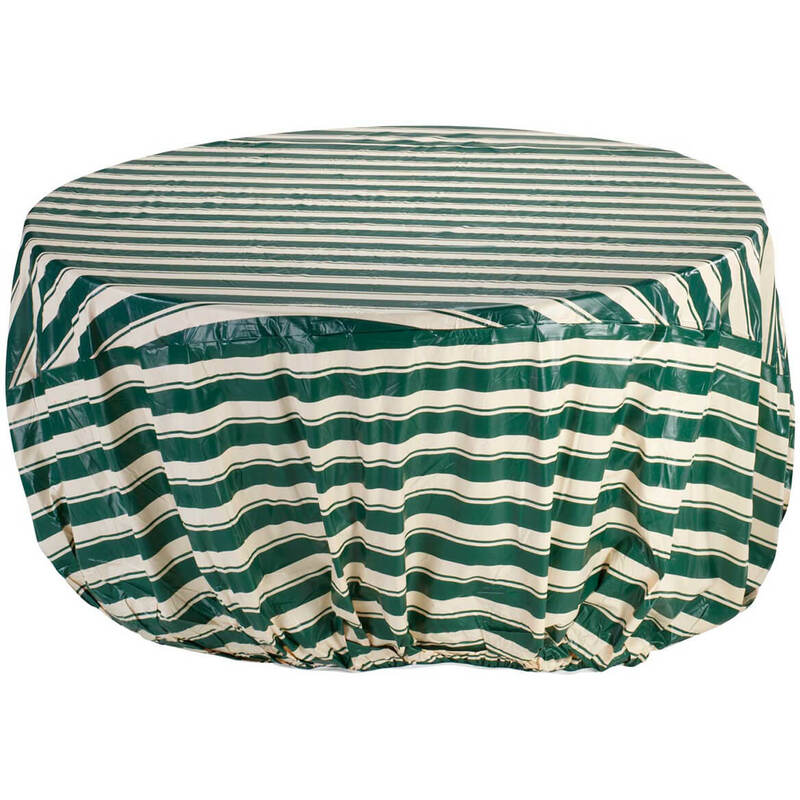 Only outdoor round tablecloth that will fit my picnic table. Have ordered from Drake for years. Looked like the one I liked best. Hoping this type of table cloth will end my problem with it always sliding to one side of the table and needing re-adjusted over and over. It fits perfectly! I love it. Have ordered many round vinyl table clothes from WD and enjoyed all of them. They stand up to everyday use very well. Kitchen table scratched. Tired of placemats. The price was great and it will match my outdoor cushions perfectly. I use these all the time. Needed a new one. the color, the fit hopefully. Hope the grey is better than the grey marble vinyl cloth that is too blue. 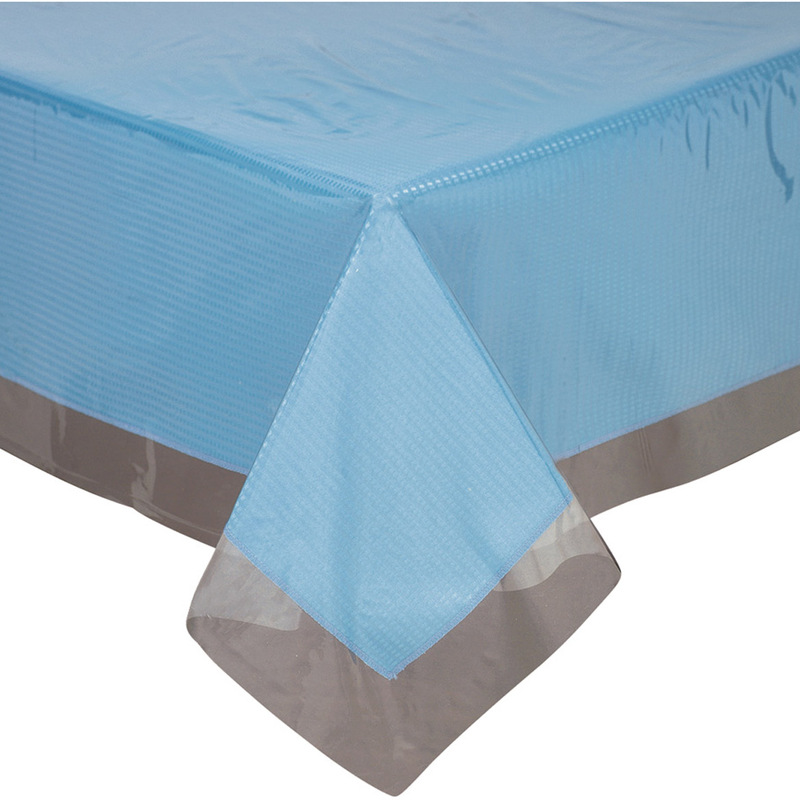 Do you have an elastic edge table cover for an 8 ft folding banquet table? BEST ANSWER: Thank you for your question. We do not carry a table cover for that size. We hope this information will be of help to you. will it be snug to 44 1/2 " table? My table is only 35 X35 will the 40X44 be to big ? BEST ANSWER: Thank you for your question. The table cover will be too big for your table. We hope this information will be of help to you. my measurements are 48X72 oval table. I need one with elastic fitted for my table. I bought one from you years ago and it fits perfectly? BEST ANSWER: Thank you for your question. We no longer carry an oval that size. We hope this information will be of help to you. My table is rectangular sized 47" x 71" and almost 1 1/2" thick. Would the rectangular 68" x 48" fit it? BEST ANSWER: Thank you for your question. No, this table cover will not fit your table. We hope this information will be of help to you. Do these elasticized Table covers form to the edge of the table well? BEST ANSWER: If you have an exact fit to a table size, they form a nice edge. I did not because there was not one small enough. I used it anyway, but had to gather up the extra material and hold it up under the table. I recommend only buying one if you have the correct table size. Don't know about the round ones.The oval ones fit good.At first they are wrinkled up ,but will flatten out after a while,or you can use a warm iron and a pillow case to help smooth them out. Ours is not nearly as smooth as those pictured in the catalog. The edges are "ruffled" a little on the outside curve of the table's edge. The top part is smooth. over the edge of the table. yes, and even if your table is smaller it is tight enough to hug the table...hope this helps. 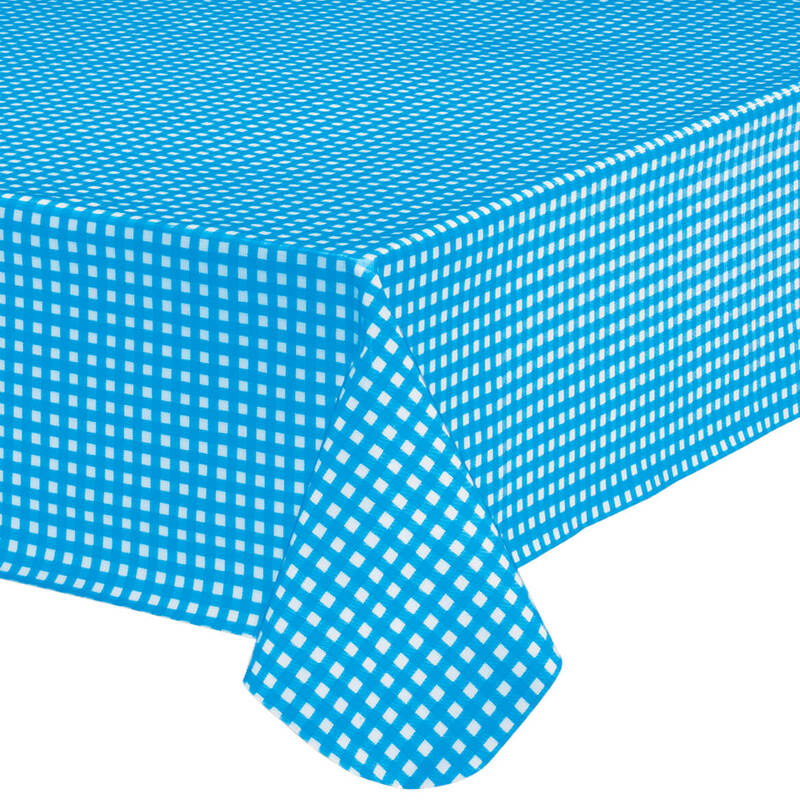 These elasticized table covers form very well to the edge of the table. They are great! Yes they fit my table well. 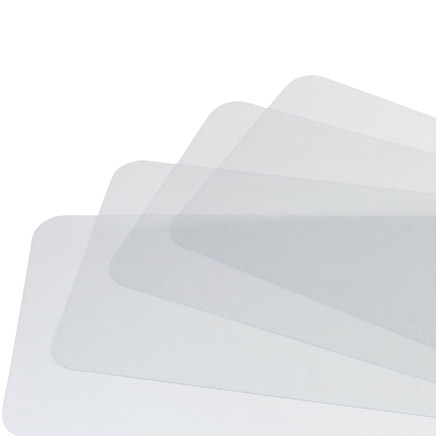 Is there anything to consider when installing the elasticized table covers? BEST ANSWER: The smaller size did not quite fit nicely over my table because of a decorative 3 inch piece of wood as an edging. Something to think about. The larger size is so big I have to pin it underneath to hold the elastic up. Fairly easy to install, but helpful to have two people doing it. No it is very easy to put on. Is there a problem with wrinkles and creases? BEST ANSWER: The wrinkles from packing ease out of the cover once it is stretched over the table, and with use and wiping. It is not a thick vinyl that would not be permanently marked. But it is meant for indoor use - it didn't last more than a season when left outdoors. Not if the cover is the right size for the table top. my table is 48 in across what size should i get and its round? BEST ANSWER: Get the smaller size. I got 45-56 for my 48" round and it was too big. 45'-56' round. The blue was lovely. is it hail proof for outside? BEST ANSWER: I wouldn't leave it outdoors especially in the winter. It's a thin vinyl, decorative rather than protective. It was out on our protected patio for the spring and summer and the elastic didn't last very long with the Nevada wind and heat. Thank you for your question. Unfortunately we do not have the answer at this time. We hope this information will be of help to you. is catalog #344600 green color choice #309 as shown in catalog? BEST ANSWER: Thank you for your question. Yes the color green is still available. We hope this information will be of help to you. The color 247 is it dark? BEST ANSWER: Thank you for your question. Color 247 is tan, it is not dark. We hope this information will be of help to you. No I do not feel color#247 is dark. colors- the picture of the table cover showed different colors, but no name for the colors. Are there more than one color? BEST ANSWER: Thank you for your question. The colors can be chosen after choosing the size. These come in Grey, blue, tan and green. We hope this information will be of help to you. what size do you recommend for an oval table 42 x 56 ? BEST ANSWER: Thank you for your question. The 42" x 68" will fit your table, you will just have some extra material under neath it. We hope this information will be of help to you. Can you make custom 42 x 96 Oval sizes ? BEST ANSWER: Thank you for your question. We do not make the table covers, we sell them. We hope this information will be of help to you. 40 44 in blue back order ? blue available in 40/42 ? BEST ANSWER: Thank you for your question Unfortunately the blue table cover has sold out. We no longer have inventory and are not expecting further shipments from the supplier. We hope this information will be of help to you. Do the covers come in for square tables? BEST ANSWER: Thank you for your question. Yes they come in the oval/oblong size. We hope this information will be of help to you. will the smallest cloth fit a 36" diameter round table? BEST ANSWER: Thank you for your question. The smallest round will be too large for your table. We hope this information will be of help to you. BEST ANSWER: Thank you for your question. Our rectangle table cover will not fit your table. We hope this information will be of help to you. 60" x 36" tablecloth which should I buy? BEST ANSWER: We bought the tan one because our furniture is light oak. It was the only one we could find that would fit the table. We have a 60" round glass top. It's 3/4" thick which vynal top will work? BEST ANSWER: Thank you for your question. We do not have table covers for a 60" round table. We hope this information will be of help to you. The oval is listed as 42 X 68 but it says in the description it will fit a table 48 X 72.....how can that be? My table is 43 X 72.....so will the oval fit?? BEST ANSWER: Thank you for your question. The sizes are the size table they will fit. The oval will not fit your table as it will be too small. We hope this information will be of help to you. So what size do I have to buy? do you have oak fitted table cloth in 48 by 84 ? 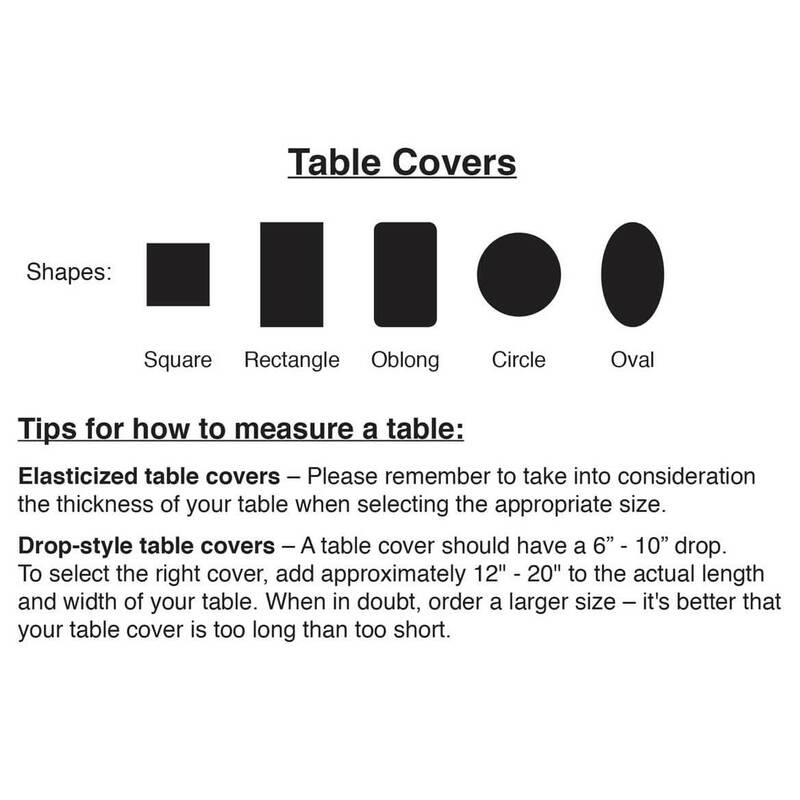 Do you have a cover for a 42x78 rectangle table? BEST ANSWER: Thank you for your question. Our sizes are listed and we do not carry any other.We apologize for an inconvenience. will the 36" square fit on a 31" square? BEST ANSWER: Thank you for your question. 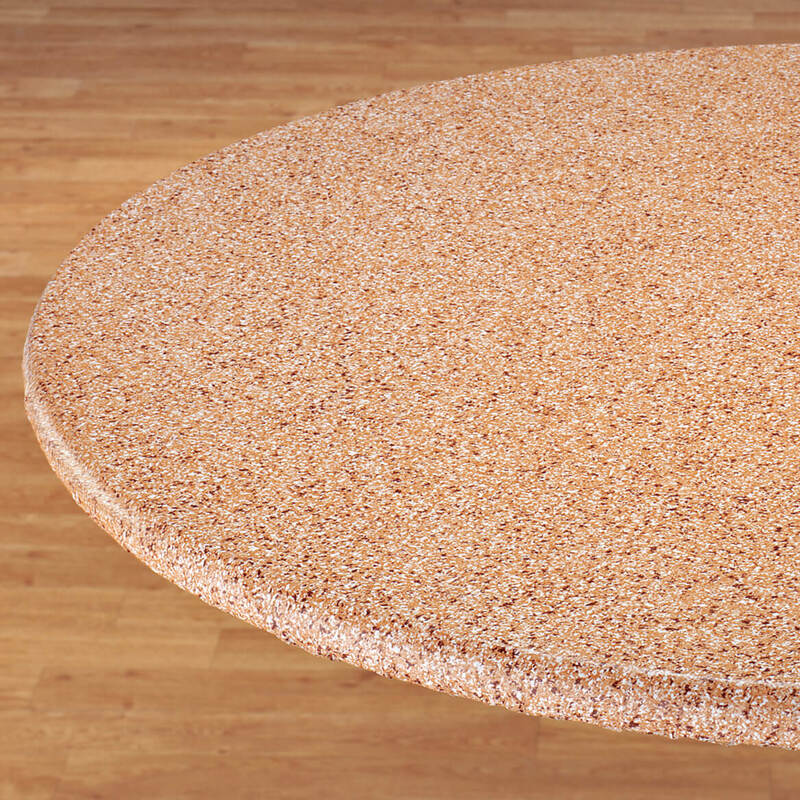 The Polished Granite Vinyl Table cover does not come in a size that will fit a square table. We hope this information will be of help to you. 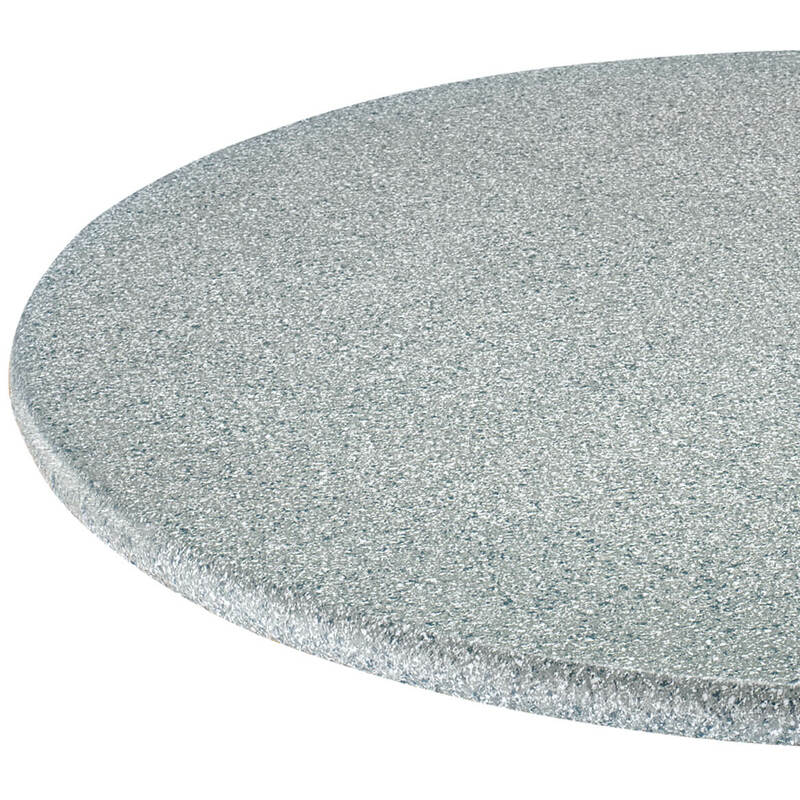 looking for a 72" round outdoor table top cover. 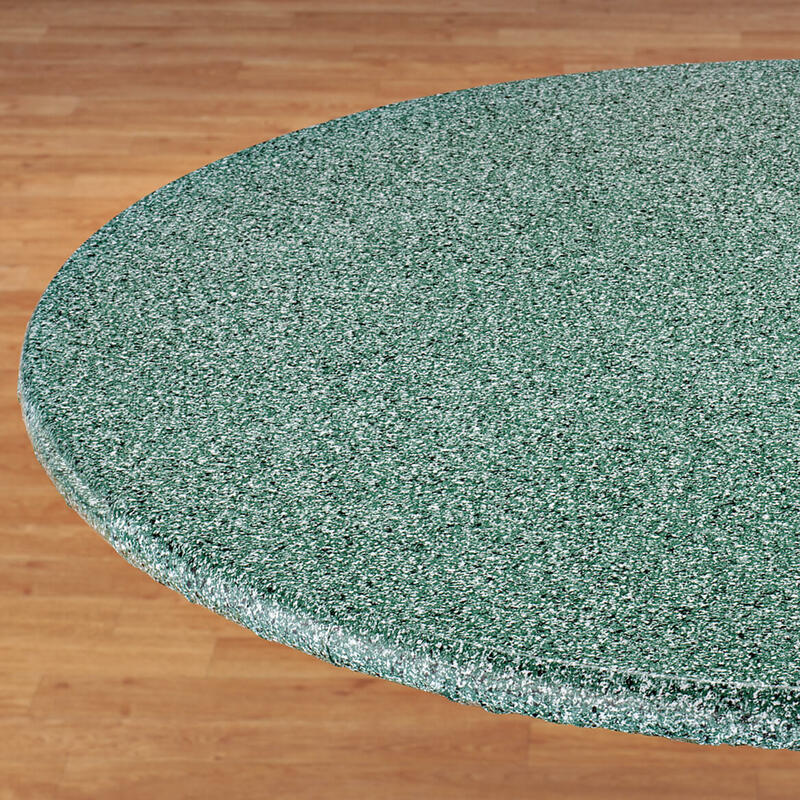 It's a glass table top, and would like it to be completely sealed from the elements. Do you make something that big? BEST ANSWER: Thank you for your question. At this time we do not have a table cover that would fit a 72". We hope this information will be of help to you. my table measures 48" x 72" and it is 3/4" thick. Will this cover? BEST ANSWER: Thank you for your question. Because you must take in consideration of the thickness and extra material would be needed for this, we believe it will not fit your table.We hope this information will be of help to you.